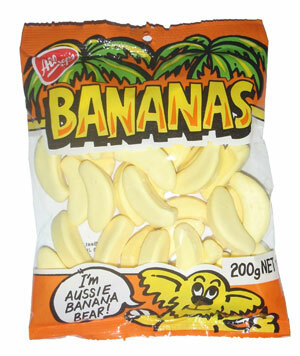 A delicious soft banana shaped and flavoured confection. Sugar, Glucose Syrup (Wheat), Invert Syrup, Gelatine (Bovine), Flavour, Colour (E102). Food Colour(s) E102 may have an adverse effect on activity and attention in children.